We have had a glorious end to the summer with both the end of September and start of October experiencing sunny skies and a final touch of warmth last week. I'm wasn't too sure how much longer the weather would last so this weekend I headed out into the garden to see how things were looking. I'm glad I did as the weather has turned to rain and windy today. 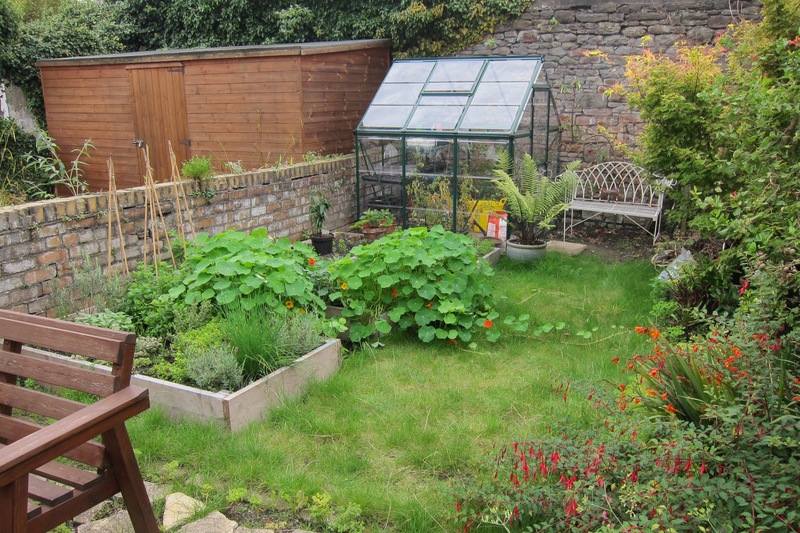 I realised that it has been a while since I updated you on our garden and what things have been growing. Can you see the nasturtium making its way across the lawn? 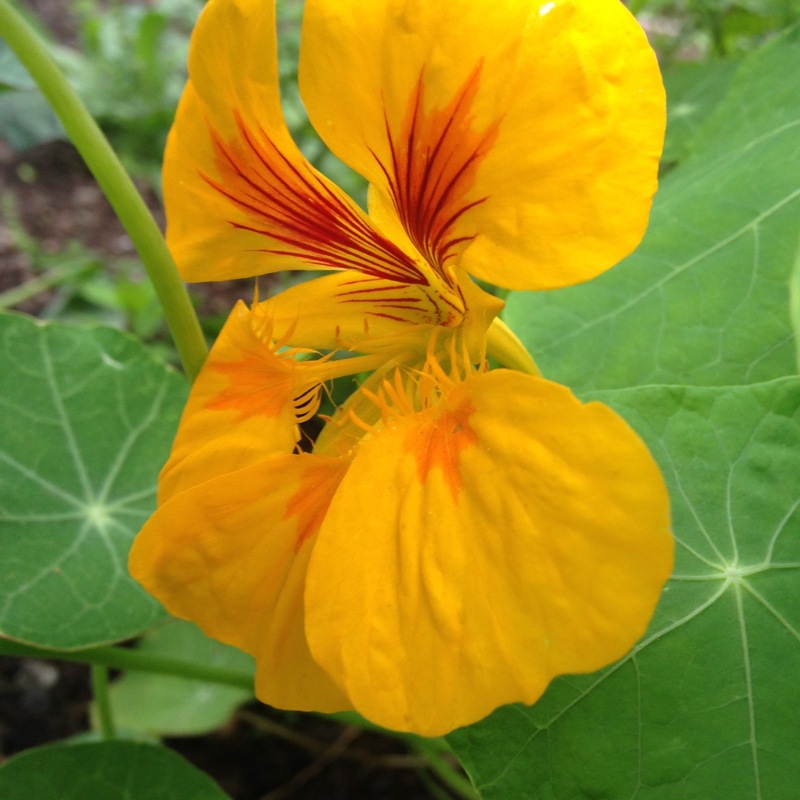 I couldn't believe that the spindly nasturtium plants I grew from seed, thad started to take over the raised beds and had begun searching for more space. One weekend I became so sick of them filling up the space that I decided to clear them out, harvesting the seed pods to dry and plant for next year, as well as keeping some of the flowers and leaves to use in cooking. The tomatoes I grew this year were Gardener's Delight and Sungold and oh my goodness they were so delicious and bountiful. 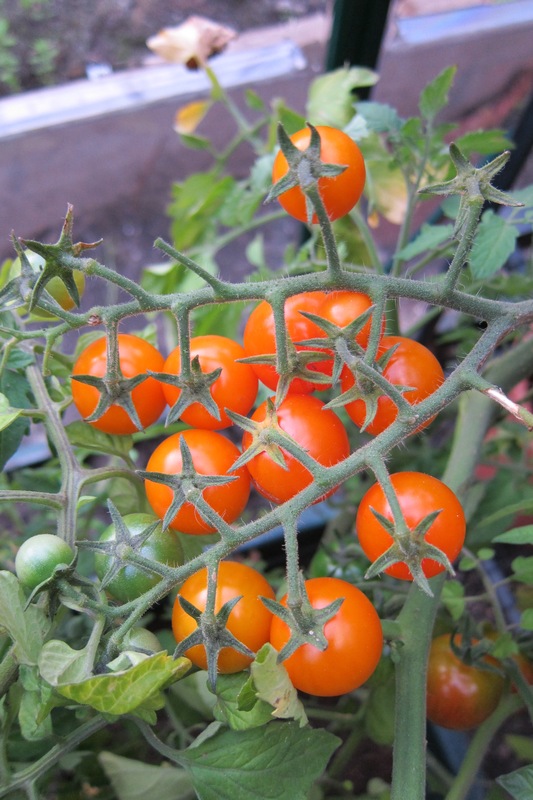 I popped the tomato plants into the greenhouse as soon as we constructed it in July, instantly the plants seemed happier and had all the core things they needed to grow., in particular warmth. 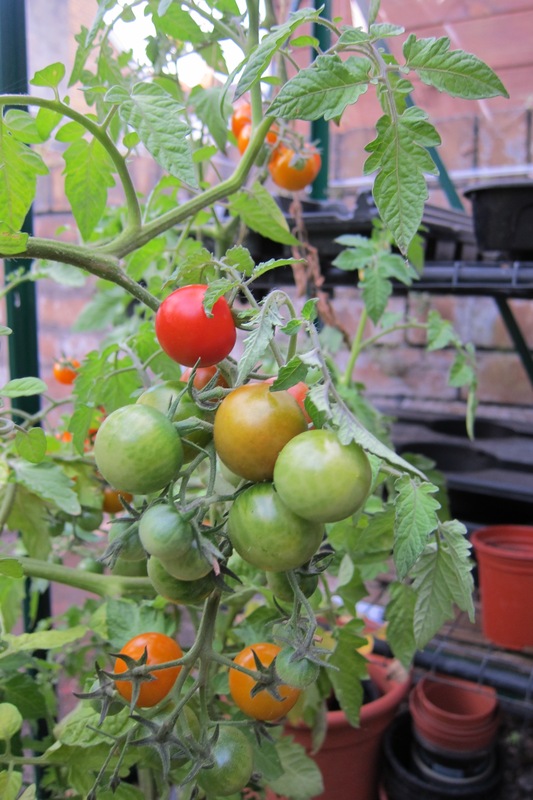 The plants continued to stay relatively compact, in comparison to other tomatoes that I've grown, and out of nowhere came many flowers and then tomatoes. They were very juicy and flavoursome and as they say, there's nothing like a home grown tomato, I now now what all the fuss is about. Both Gardener's Delight and Sungold are definitely going on my list for next years planting and I will buy more of them next time. There were quite a lot of green tomatoes left when the plants started to die off. 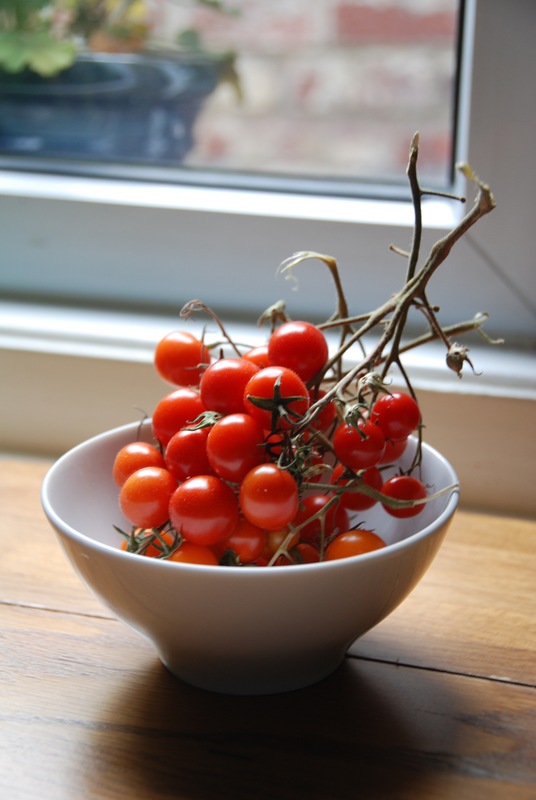 Over the past few weeks they have been ripening in a bowl on our kitchen table. 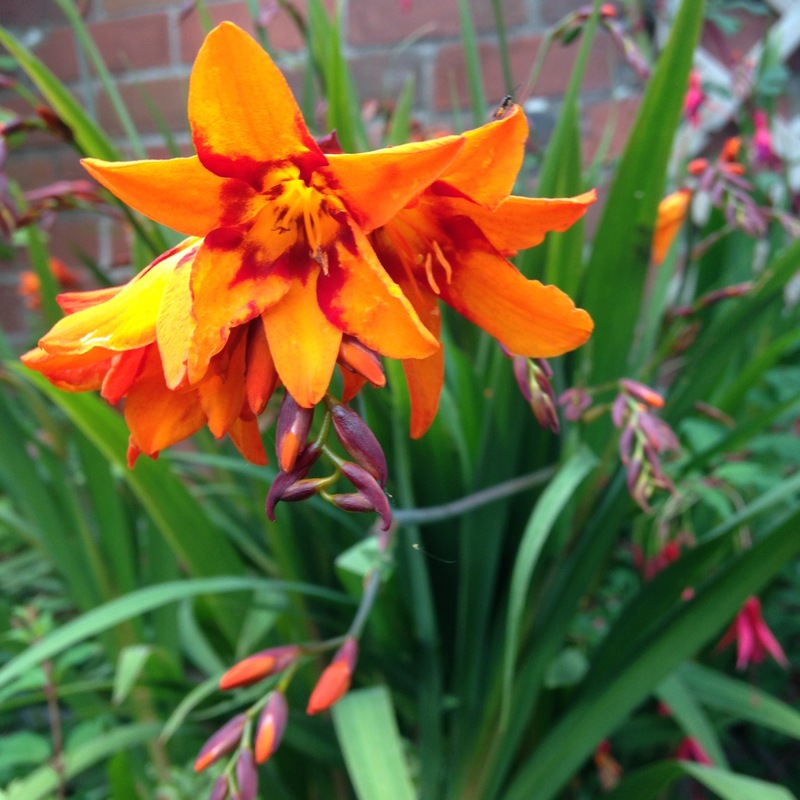 The garden bloomed throughout September and at last I saw our Montbretia flower. I had no idea that I had this plant in the garden, I must have missed it last year when we moved into our home. The unusual oranges and reds in the flowers were a little different than I've seen in other gardens. 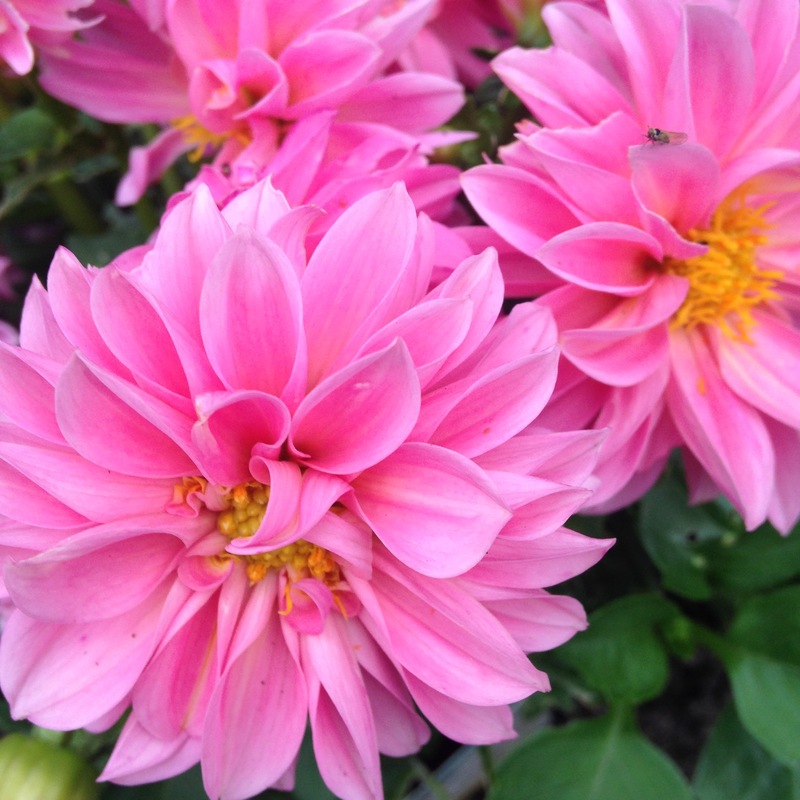 The dahlia's flowered again during September. These mini dahlias recovered from a few snail attacks. Seeing these flowers has made me want to grow some larger versions next year in part of my raised bed. 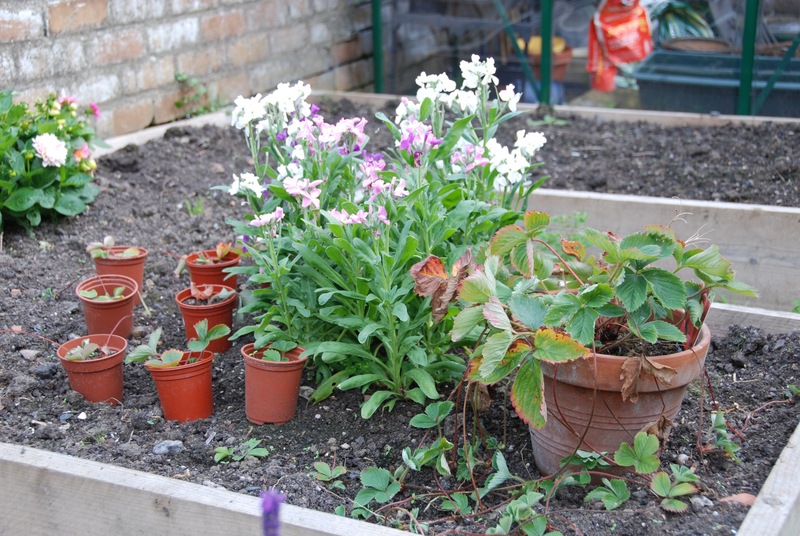 When I removed the nasturtiums I unearthed the stocks that I had grown from seed. 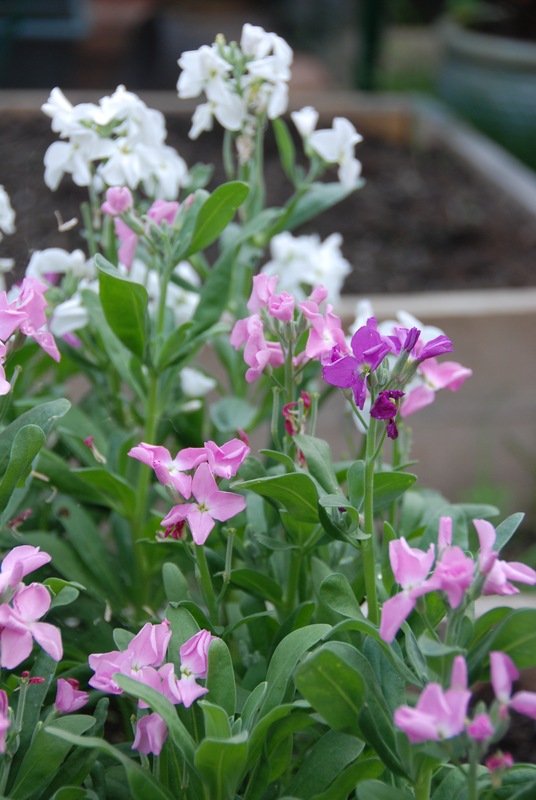 I had no idea if the stocks would grow when I planted them so I just stuck them into the bed to see what happened. Hidden underneath the nasturtiums they had starting to establish themselves but were suffering a little from lack of light. 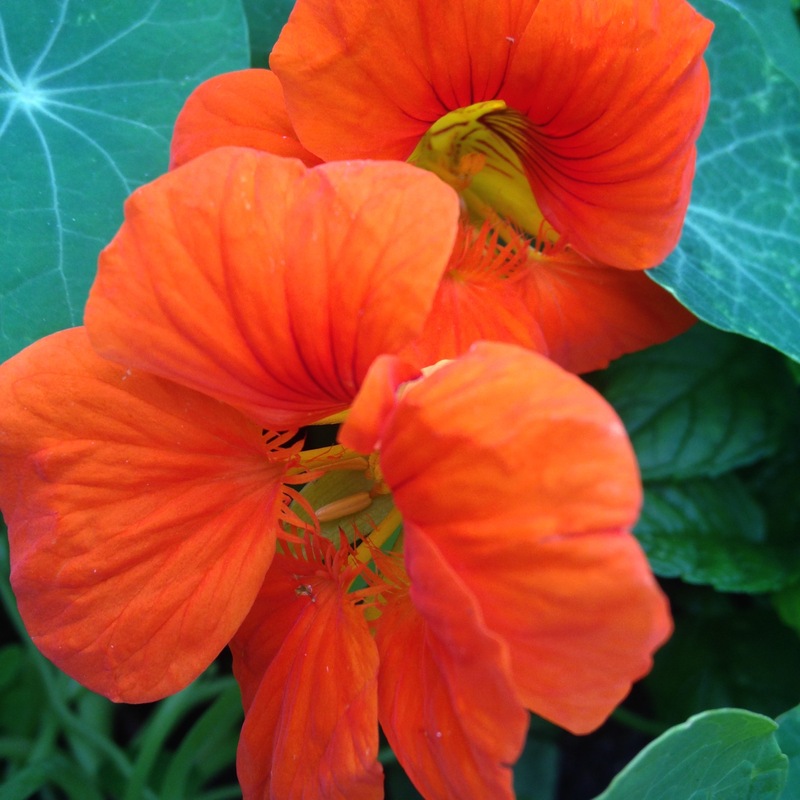 When the nasturtiums were removed they burst into life and flower buds started to form and over the past few weeks they have finally flowered. This is what they are looking like at the moment. The stocks smell delicious and I hope to grow more of them next year. 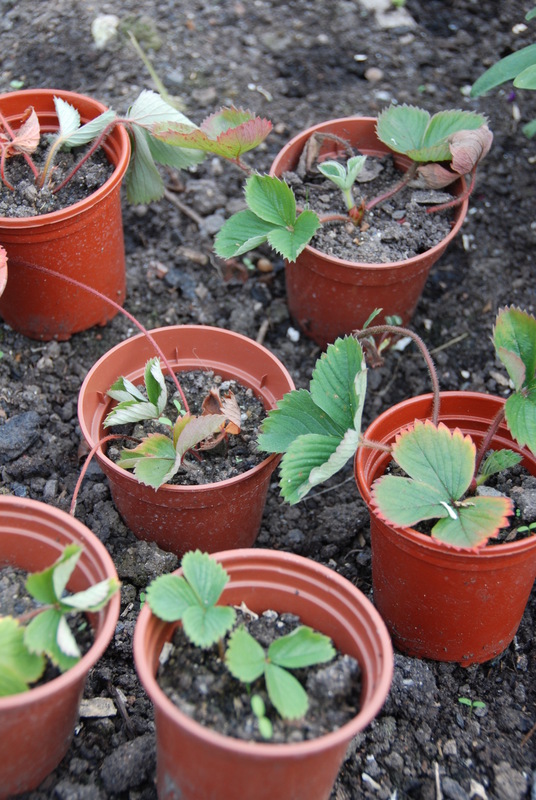 The strawberry plant I bought at the start of the summer has continued to produce many runners and so I have started to encourage a few to grow in small pots. I'm hoping that they get established so I can plant up more strawberry plants and pass any extras on to friends for their garden spaces. 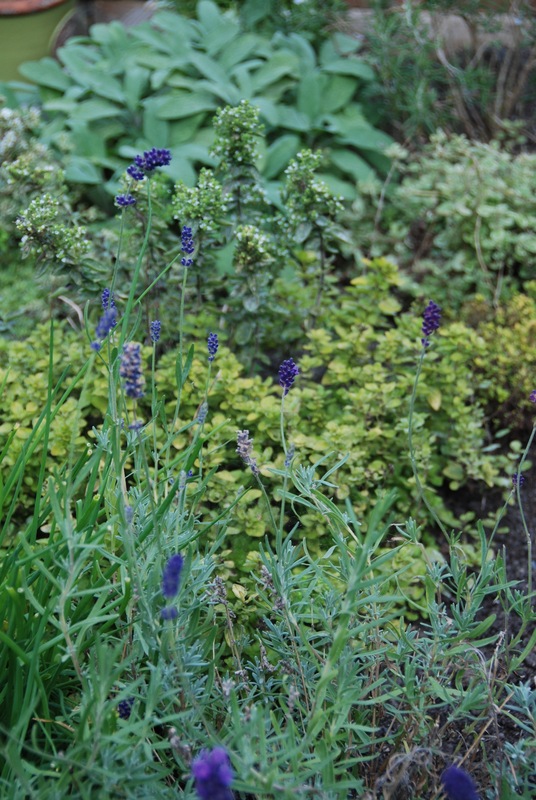 The herb bed is looking more established and after a late start the sage has burst into life. I moved a few herbs from another raised bed on our patio space to the main raised bed. I'm pleased to say that after a few weeks they are now establishing themselves in their new home. The honeysuckle in our garden became decimated by black fly early summer. I've never had to deal with this type of bug before so it was a little upsetting when all the flower buds were being sucked dry. Luckily there were quite a few ladybird type insects that put everything back to normal after a few weeks. It taught me to keep an eye on the plants more. 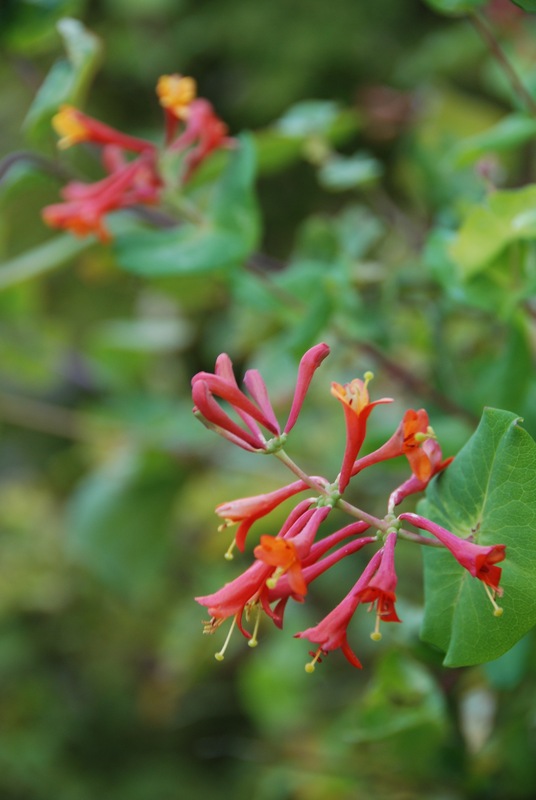 I think that with the mild and sunny weather we have had recently the honeysuckle has managed to bloom once again. 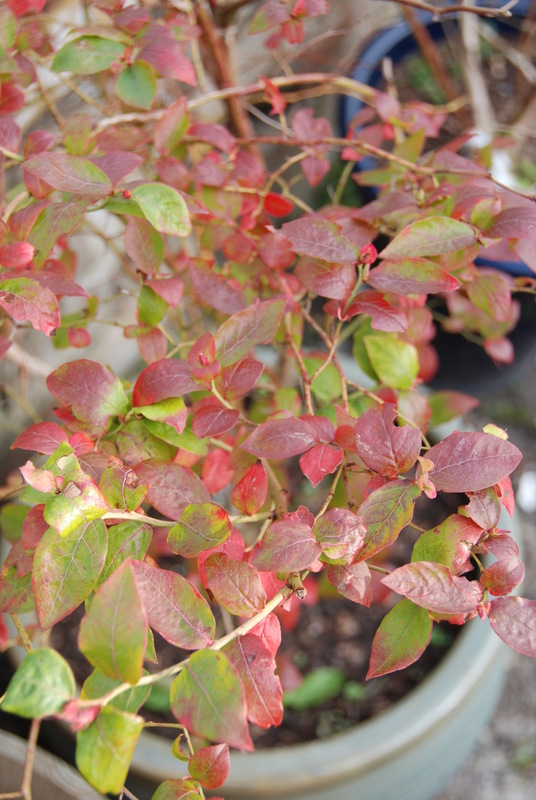 The blueberry bushes that we have in big pots have had more fruit than ever before . Is so lovely seeing these plants doing what they should be. We decided to move the blueberry bushes into the greenhouse over the to protect the fruit from birds and to give them a little more warmth. At the moment the leaves on the bush are turning a pretty red signalling that autumn has begun, soon these leaves will drop and a cycle starting once more. 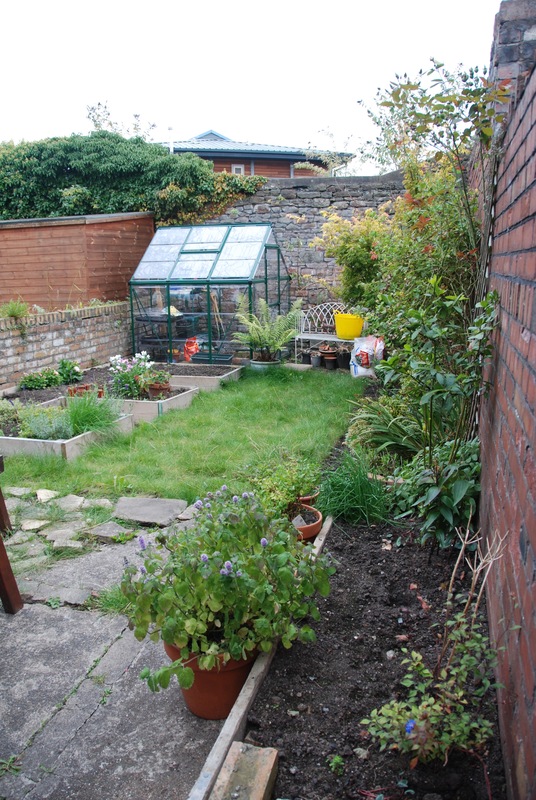 I've been spending a little bit of time in the greenhouse trying to plan out how to use the space for growing, where to position a small potting bench I hope to have, and working out if I want to create a brick path or raised beds inside the greenhouse. Here's how the garden was looking this weekend. I've been trying to tidy a few of the areas before the weather gets too cold. Elsewhere in the garden I've been busy planting bulbs in the garden with a hope of having many beautiful blooms to enjoy in the spring. Having not planted bulbs in our garden before, I decided to made an investment in bulbs to fill the space. I selected a few different types of snowdrops, crocus and daffodil varieties and planted them scattered throughout the garden. 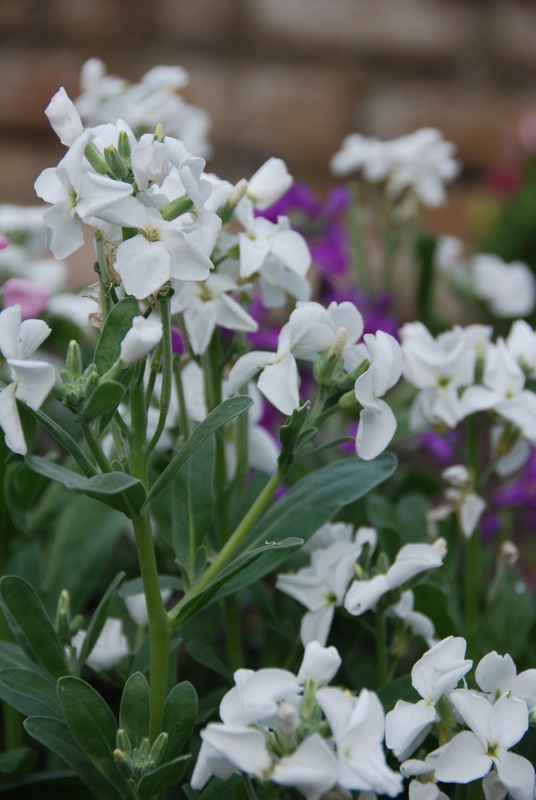 I'm hoping for a deliciously colourful display in the spring and one I hope to share with you. I'm looking forward to seeing what they look like in amongst the plants in our garden and watching the bulbs inch out of the ground. 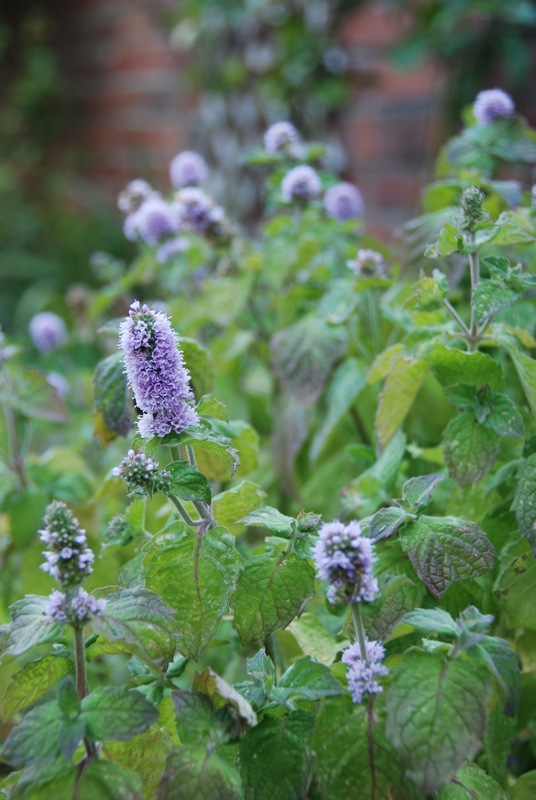 What are you doing in your garden or outside space at the moment?